Two states were born at the stroke of midnight on August 14th 1947 from the twilight of the British Raj in the South-Asian subcontinent. One nation evolved into the world’s largest parliamentary democracy. The other nation degenerated into a “garrison state” plagued by a series of military dictatorships, split apart by the secession of Bangladesh (once East Pakistan) and threatened by Islamist terrorist networks, some originally sponsored by Islamabad’s own Inter-Services Intelligence agency. The Pakistani military elite inherited the strict, authority built command and control traditions of the British Army. It is no coincidence that every successful military coup in Pakistan has been led by the serving Chief of Army Staff, while every coup attempt by less senior generals (Major Gen. Khan in 1952, Major Gen. Abbasi in 1995) have been unsuccessful. Prime Minister Bhutto threatened the institutional unity of the Army when he created a parliamentary organization designed to be loyal to him, the Federal Security Force. Bhutto bypassed five senior lieutenant generals to promote an obscure mullah’s son, Zia ul-Haq, as Army Chief and tried to emulate the Shah of Iran in personally approving every Army promotion above the rank of colonel. This interference in the military cost Mr. Bhutto his life, as the obscure mullah’s son he promoted in 1976 overthrew him in 1977, and hanged him in 1979. Pakistan’s Army, like Bismarck’s Royal Jägers, is an army with a state, not a state with an army. Pakistan is a classic post-colonial state that inherited a largely feudal, rural society in Sind, Punjab, Khyber Pakhtunkhwa, and Baluchistan. The Pakistan Army’s financial umbilical cord with Washington as a front line state in the Cold War. Military assistance from the United States enabled Pakistan to devote up to 18% of its government budget to its defense empire. Asymmetries of power in the Pakistani state enabled the military to assume the role of the protector of the “Muslim homeland” in South Asia from its existential threat of an India that never accepted its legitimacy as a state. Pakistan was an “ideological state” that used Islam and the Urdu language to promote national identity and combat secessionist ethnic identities in East Bengal, Sindh, and Baluchistan. Therefore, successive civilian and military governments used the predominantly Punjabi (the dominant “martial sect” that constituted the British Raj colonial army) military to suppress Bengali, Sindhi, and Balochi national revolts. Yahya Khan and Zia ul-Haq violently cracked down on pro-secession Bengali and pro-Bhutto Sindhi political activists, which led to the deaths of thousands. Military families enjoy access to schools, hospitals, land grands, and post retirement jobs that are unthinkable for the rest of the population. The military’s financial tentacles extends to banks, media outlets, property agencies, insurance companies, and flour mills (among others). 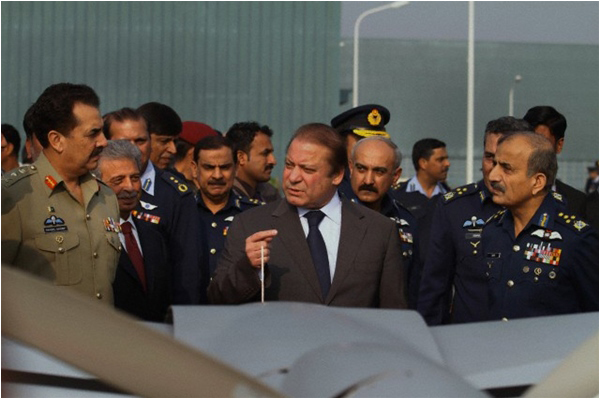 The military uses its economic empire to reinforce its role as a financial powerbroker in Pakistan and as an allocator of both political patronage and social welfare to its clients. Any threat to the military’s economic interests, such as Bhutto’s mass nationalization and socialist policies in the 1970’s, provokes an institutional response in the form of a coup d’état. Even military dictators who fail to protect the military’s economic interests are forced out of power, as General Yahya Khan was after the birth of Bangladesh in 1971. Since the military identifies itself as the ultimate protector of the Pakistani state, it will not tolerate any civilian interference in its chain of command, institutional autonomy, control of “strategic assets”, such as the nuclear arsenal, or the handling of jihadist client networks in Kashmir and Afghanistan. Islam was also used by unpopular military regimes to justify their rule. Zia tried to “Islamize” society through Sharia courts, banning alcohol, religious schools, and leadership of the anti-Soviet Afghan jihad. Zia’s “Islamization” emphasized floggings, amputations, blasphemy laws, and the Hudood Ordinance. His model of the ideal Islamic state was the early Arabian caliphate, not Jinnah’s vision of a Muslim “Westminster style” parliamentary democracy. The Pakistani military has also exploited international politics to seize power and dominate the state, often in alliance with Punjabi bureaucratic elites. Just as the British Indian Army fought the “Great Game” in Central Asia against the Russian Romanov Empire, the Pakistan Army fought Soviet subversion in Afghanistan and the Gulf in alliance with the British, US, and the Gulf Cooperation Council oil-kingdoms. Pakistan was a military ally of the US in President Raegan’s anti-Soviet Afghan jihad and President Bush’s global war on terror. Pakistani troops have been stationed in Saudi Arabia, Bahrain, and Oman since the 1970s. The Pakistani nuclear program, begun under Bhutto but expanded under Zia, was financed by Saudi Arabia. 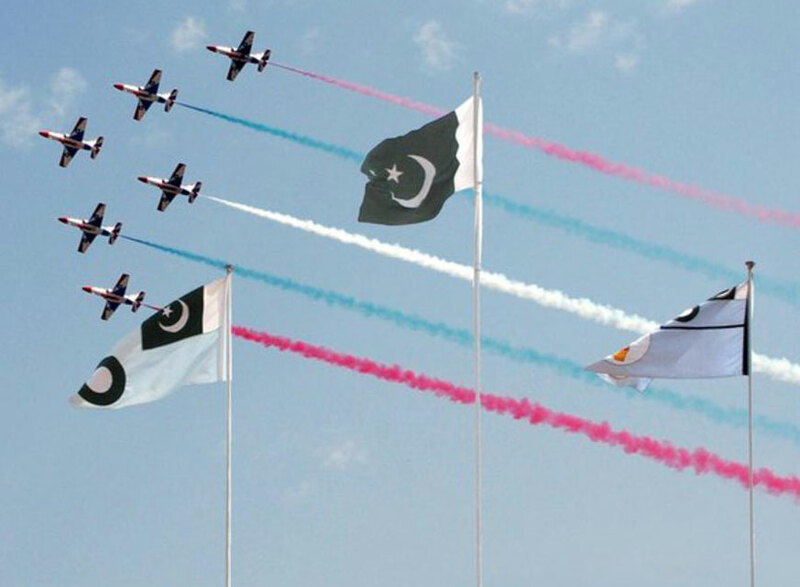 The Pakistani military has become the world’s only geopolitical “too big to fail” defense institution not only for Islamabad, but also for Washington, Beijing, London, and Riyadh. Shah, Aqil. The Army and Democracy: Military Politics in Pakistan (p. 164) Cambridge, MA: Harvard UP, 2014.